Talking chickens are a growing international problem. Why doesn’t the UN step in and do something about it? 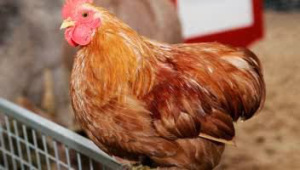 There was panic yesterday among residents in Makurdi, Benue state after news of a ‘talking’ chicken went viral Apparently the said chicken was said to being taken to the market to be sold when suddenly it started speaking in Arabic. The incident was reported to have occurred at about 12 noon around the Wadata central mosque premises located few meters from the divisional police station. Residents around the ‘A’ division police station beside Wadata Market, Makurdi took to their heels after hearing the news. A woman in the area who gave her name as Aishetu said “I have not seen the chicken myself,” she confessed. “I heard that police have taken it into custody and that is why the station is so crowded. Everybody wants to see it talk,” she said. You were on to something all along.